You can treat methadone addiction with a combination pharmaceutical and behavioral therapy approaches. But who to ask for help? More on how to treat methadone addiction here. Reviewed by: Dr. Dili Gonzalez, M.D. Need help to treat addiction to methadone? How methadone works in the brain is similar to how heroin works in the brain. So, depending on dose amount and frequency, methadone can be addictive. But what is methadone addiction as opposed to physical dependency? At what point does methadone use become methadone addiction? In this article we cover how you can recognize the problem, how to seek help, and what treatment options are recommended for addressing methadone addiction. Plus, we invite you to send us your questions about methadone via the designated section at the bottom of the page. Though some experts believe its use is controversial, methadone is seen to be very effective treatment for overcoming addiction so long as it is used strictly under medical supervision. In fact, methadone maintenance efficacy has been the topic of much research in the past decades. Since methadone can stabilize withdrawal symptoms and help block the euphoric impacts of heroine and similar drugs, it is widely used by detox clinics. But at what point does methadone stop being medication and start being the substance of dependency? Methadone is a synthetic opioid that has a cross tolerance with highly addictive opiates such as heroin. Methadone is widely used in the treatment of opiate addiction as substiton therapy. It is particularly useful in easing an addict through painful withdrawal symptoms. Methadone is also a long acting powerful painkiller prescribed for managing severe chronic pain as an effective acyclic analogue of morphine. These very characteristics, which make methadone such an effective medication, could make a person dependent upon it. However, physical dependence on methadone is different than addiction. Dependence occurs when the brain adapts to the regular presence of methadone in the system, and manifests as withdrawal symptoms when you signficiantly reduce methadone doses. Addiction, on the other hand, is primarily a mental condition. Methadone addiction is characterized by mental cravings for methadone, or the need to use methadone to feel “normal”. Methadone addiction can manifest in the following ways. Methadone intake starts impacting your personal, professional and social life. Physical signs such as appetite changes, indigestion, changes in sleep patterns, headache, dry mouth, rashes, itchiness, dizziness. Signs of impaired judgment, lowered awareness and mood swings, also seeming drowsy and uncoordinated. Signs such as dilated pupils and restlessness and a preoccupation with finding more methadone. Slow breathing and irregular heart beat are worrying signs – this could lead to hypoxia and even death so if this happens treat it as an emergency. Ideally, treating methadone addictio addresses an addict’s personal, professional, social and psychological problems. Methadone addiction is typically treated by combining pharmaceutical and behavioral therapy approaches. The aim is to restore a mentally and physically healthy, functioning and productive individual back to their families and society at large. However, No single treatment protocol is appropriate for everyone – individual mental makeup, physical characteristics and specific personal problems need to be kept in mind to dovetail treatment to the individual. Additionally, it is important to constantly monitor progress, adjust medications and modify treatment protocols based on individual needs and progress. This will also determine how long treatment should last and demonstrate to the addict, the vital importance of staying in treatment. Methadone is typically a drug used to treat drug addiction, but when a person gets addicted to methadone, other drug interventions can help lower dependency upon it. The methadone will be tapered off to a point where it can be substituted with another medication. A physician specializing in addiction treatment will typically prescribe a strictly regimented regimen of buprenorphine or other similar opiate which has an easier withdrawal profile. This can continue to a point of stabilization and reduction in dependency. Underlying mental problems that result in addictive behaviors are crucial to treating methadone addiction. A psychotherapist can work with the methadone addict to replace harmful behaviors with healthy ones, helping to build skills to cope with stress and improve interpersonal relationships. They will guide the addict towards more constructive activities by incentivizing behavioral change. Teaching skills to resist drug use, improving problem solving capabilities and creating effective coping mechanisms for stress are also part of treatment for methadone addiction. Individual therapy, group therapy, or family therapy may be advised as appropriate. So where can you find treatment for methadone addiction? Following is a list of suggested starting points. If you have other suggestions, please leave them in the comments section below. Methadone addiction treatment center – An inpatient treatment facility is somewhere that a methadone addict can check into and stay for the duration of their treatment. Other than medications and psychotherapy, aspects that could help recovery include diet, exercise and occupational therapy; in other words all aspects of a person’s life are covered. Such a treatment facility helps a person steer clear of enabling individuals and situations. Methadone detox clinic – Detox clinics can be inpatient or outpatient. An outpatient methadone addiction facility will monitor dosage and progress. It may or may not also offer therapy. The treatment proceeds while the user continues to live an otherwise normal life – living with family, going to school or office and meeting with friends. For obvious reasons, such a facility has be easily accessible from the home. Mental health professional specializing in methadone addiction treatment – When you look for a clinical psychologist or a psychiatrist to help with overcoming addiction, look for one who has experience in treating methadone addiction. Because methadone is itself a treatment for addiction, overcoming dependency could be a lot more complex and could require specialized expertise and experience. Methadone addiction support groups – You could try to locate a group within your local community who could offer support. Online groups and forums can also be very helpful and supportive and can help an addict feel less alone and abandoned. Licensed clinical social workers –These are people who are very experienced at helping overcome addiction and in facilitating rehabilitation. Social workers are also very connected within the community and can help integrate you to work and social life. Your physician – Your family doctor or general practitioner knows about your medical history and is probably very familiar with your family situation. A good first point of contact, your physician can offer you valuable insight and guidance on treating methadone addiction. A trusted religious or spiritual leader – An addict can feel rudderless and adrift, lacking purpose life. Spiritual guidance from a person of any denomination you’re comfortable with could be the direction that you seek. They could help in gaining perspective and hope and also very importantly, in letting go of guilt. Are you addicted to methadone or know anyone who is struggling with it? Share your concerns below and engage with others who may have the same or similar problems. You can also share any experiences and advice on methadone addiction treatment you have. We try to respond personally and promptly to all legitimate inquiries. Hi my name is trina n I bee n on methadone for 7 yrs. 2 yrs ago I got kicked out of a clinic and tried to detox it didn’t work. I started using methadone. The streets then a year ago I met my ex boyfriend n he spit his methadone out every day for me he got kicked out and I had to detox again. Now I’m in a clinic and want to get off but I’m scared.. since I been on it for so long am I addicted to methadone?? Hi Trina. 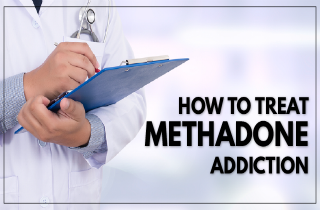 It is possible that you have formed a physical and psychological dependence on methadone. The physical part will be regulated when you detox and when physical withdrawal symptoms subside. As for the psychological need to use methadone, you may need some prolonged period of counseling and group therapy to deal with cravings and other issues. However, our brains tend to recover and return to homeostasis, so you will eventually feel able to live a full life without the need for methadone.